It comes in a very smart compact packaging, and being a creative person, I'm definitely reusing the box in one of my projects sometime later. The box contains the unit, a black silicon band and USB charger. 1. The price. One doesn't have to think twice before purchasing this. And even if it gets lost, or like my brother's whose unit popped out in a jam packed train, it won't be heartbreaking to lose it. 2. Accuracy. The pedometer and sleep hours calculator are both very accurate and tell you the true story. If you swiftly give your hand a jerk to check the band, it will light up the LED's to show how far you've reached today for your daily fitness goal. So you don't need to open any app again and again to check that. 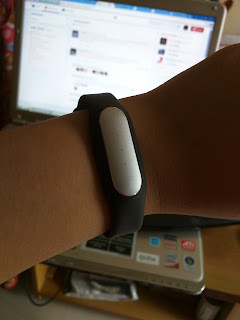 The band also syncs with Google's FIT. 3. Compatible with any android phone. 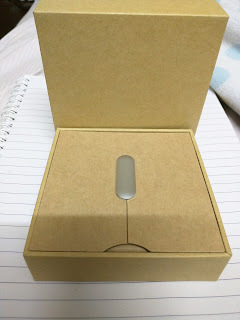 Though it is a Xiaomi product and works best with mi phones. It is compatible with any android phone and the only feature that doesn't work in other android phones is the swipe to unlock phone feature. 4. Vibrate on calls and alarm. For me, this feature is why I bought it and is more useful for me than the fitness aspects (I'm not much of a fitness freak you see). With a baby in the house, or at work, my phone is usually on Silent and I used to miss a lot of calls. No more of that, since my wrist vibrates when there is a call! Only thing, you need to be in the same room as the phone or in the range, or else Bluetooth connectivity gets lost. And Vibrate on alarm is the sole thing that makes me get up on time, or else it was always me snoozing my phone's alarm or not hearing it at all. 5. Long lasting battery. Once you charge it completely, it's good to go for a month or even more! 6. Completely waterproof. You don't have to remove this wearable gadget when taking a shower or swimming etc. It would've been quite a pain if it was not waterproof. 1. Can be charged only via its charger. The unit comes with its own special charger, which you can connect to any outlet or PC to charge via USB. So if by chance you loose the tiny charger, you're stuck. 2. No options of colours for the silicon band. 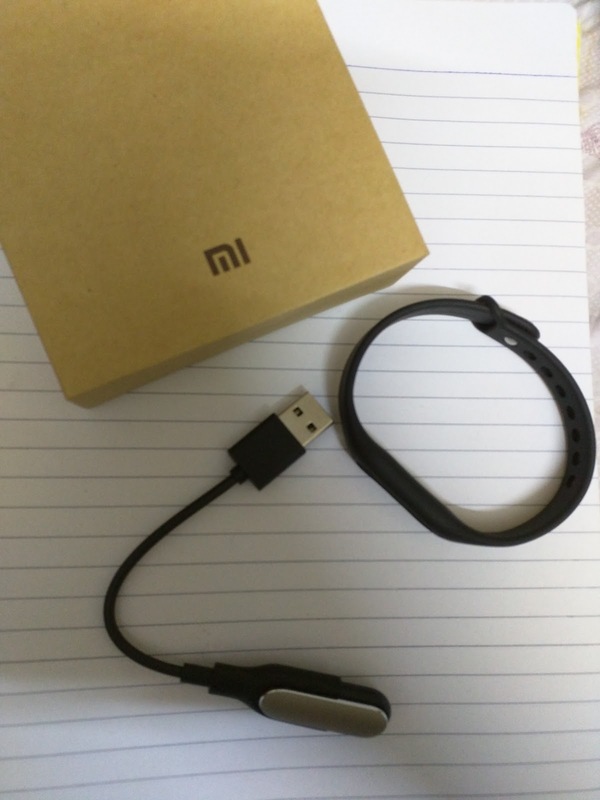 The Mi Band at Rs.999 comes with a default black band. If you want another colour band, you need to buy that separately. They should have at-least given a basic choice of three colours on purchase. 3. Wish it showed time. I wear the Mi Band in my left hand. Because I use the laptop a lot, or write a lot, I am not comfortable with wearing anything in the right hand. But then I can't wear the watch and Mi Band both in the left hand. I'm not sure how, but if there was a way in which the LED notification could indicate the time also, it would be great. Overall, it's a great buy! Wish they add more features in the app update, to use the band even more! If you've been hesitating till now, don't!